Target Deals from this week’s ad dated 11/13 – 11/19 is ready! Remember, you can stack Target store coupons with manufacturer coupons. *some new games to released Tuesday 11/15! Less: $2.50/1 President Specialty Cheese *must share with 3 friends for this coupon! Get: (1) FREE Entree wyb (5) *ad just states quantities limited! Final Price: $3 for 4 products!! Items below are not listed on sale but have great stackable coupons that could possibly score some great deals! *please feel free to share with us any prices that you may find in your local store! Less: $1/3 Swiss Miss Hot Cocoa (10/02 SS) *exp 11/14! Target Price Match Policy! 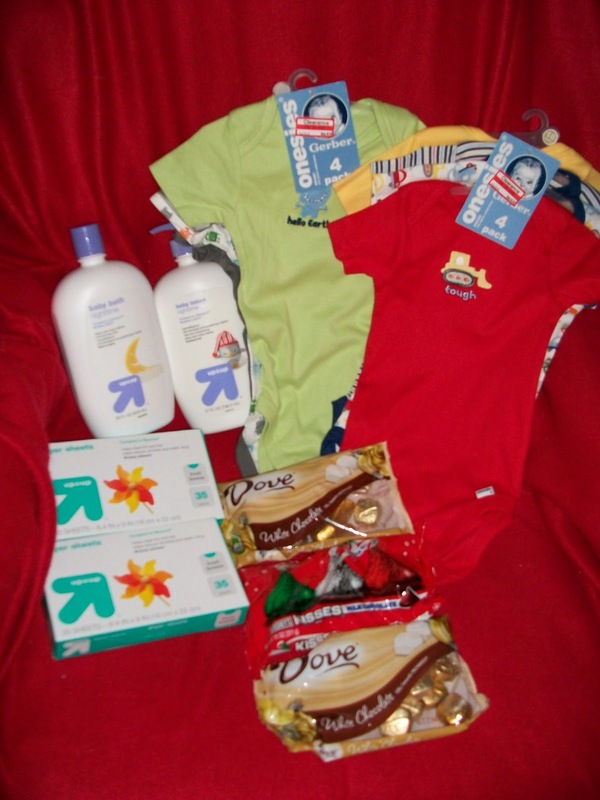 Get the best Christmas deals and use Target store coupons! Target price match policy – Yes, they price match! Remember for Black Friday sales . . .
As we head toward Black Friday we are going to be seeing a lot of “get-you-in-store-awesome-deals” – you can save yourself time, gas and money by price matching competitor ads at Target. They have aLow Price Promise, which I think is really generous! I’ve seen especially exciting deals when price matching – Big Lots, Dollar Tree and Grocery Outlet ads at Target. But you can price match department store ads, office store ads, grocery store ads – as long as it is a physical retail store ad and it is located in the same area of your Target, it qualifies. Here are the highlights of the program, but I recommend you check out the Target Price Matching Policy for all the nitty gritty details. How do you price match at Target?If you find an item in a competitor’s printed ad that is priced lower than it is at Target, bring in the entire ad to Target, and ask customer service to price match it. I believe you have to go to customer service, I don’t think a cashier can do it for you at regular checkout (please correct me if I’m wrong). Bring the entire ad – they need to be able to see the date and that it’s a current ad. They do not accept a print out, it has to be the actual ad. 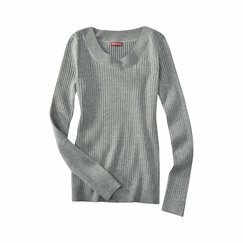 What items can you price match?Any type of item can be price matched – as long as it’s the identical brand name, size, weight, quantity and model number of the item at Target Store. For those of you with grocery at your local Target, you can price match groceries from other ads! Target Coupons:Target coupons will be applied before the price match is made. If the competitor price is still lower than the price after the Target coupon has been deducted, the ad match can be adjusted to match the competitor’s price. Combining both a Target and Manufacturer Coupons: The Target coupon will be applied before the price match is made. If the competitor price is still lower than the price after the Target coupon has been deducted, the ad match can be adjusted to match the competitor’s price. Once the price match is made the manufacturer coupon will be applied. Reminder: They accept one manufacturer coupon and one Target coupon for the same item unless either coupon prohibits it. Target does not ad match a competitors coupon-required offers. What if you buy something at Target then find it cheaper at another store? No problem. Within seven days of purchase, bring your Target receipt and the competitor ‘s current printed ad. We will reimburse the savings to you. Promotions or products advertised on another company’s web or mobile sites, even those advertising in-store prices. Timed events (e.g., early bird, door busters) – Watch for this detail on Black Friday sales, which could have time requirements, like you have to get the deal between 9 and 10 a.m. – then you can’t price match. I recommend bringing the Target Price Matching Policy just in case customer service has some questions or issues with your request – that way you can make sure you are both on the same page. You can also price match at Walmart, Lowes, Home Depot and most office stores! When in doubt, call ahead and ask! Check out this week’s Target deals. . .
Yep, it’s that time of the year again…..Christmas shopping time. Here are some awesome target coupons on toys. If you match these up with printable manufacturer coupons if should make some pretty sweet deals! I will post another link if I find some other toy coupons. I would check the website(s) of the product(s) manufacturer for the toys though to see if they offer any coupons of promations like rebates. Happy shopping! Found some…Here are some hot Hasbro ones too. *Don’t forget the Covergirl $8/2 Face Products coupon expires 10/31!! Less: FREE Crave Soft Cat Treats (9/18 RP)*exp 10/29! Final Price: as low as $1.49 for both!! Less: B1G1 Tampax Pearl Compact, up to $3.99 (10/02 PG) *if included! that could score some great deals!! Prices may vary by store! If you’re like me, you could spend hours in Target, just browsing the aisles… spending a little extra time in the travel section, scanning your coupons as you go, reading the fine print on each one to see if the deal you’ve just spotted is too good to be true or not! Well, we want to save you a little time. We’ve wrapped up as many “Under $1.00 Deals” as we could find to bring them all to you in one handy place. Get your coupons ready ahead of time and spend less time in the store! Buy 4 and Get 1 FREE!! *Buy 4 and Get 1 FREE!! STACK: $1/2 Kellogg’s Special K Bars, multipack (TARGET coupon) *exp 10/04! if this item is included! Target Deals from this week’s ad dated 9/11 – 9/17 is ready! Remember, you can stack Target store coupons with manufacturer coupons. STACK: $1/1 Target Store Coupon Head & Shoulders, Herbal Essences, Pantene OR Aussie College 2011 Mailer? Target deals and coupon match-ups for the week! Target Deals from this week’s ad dated 9/04 – 9/10 is ready! Remember, you can stack Target store coupons with manufacturer coupons. Less: $1/1 Mfg. Coupon Herbal Essences or Aussie (RP 8/07/11)? You Get Back: $5 Target Gift Card? If you need extra coupons, be sure to check out our Grocery Coupon pages: Coupons.com,Coupon Network, Smart Source and Red Plum. Free Target beauty bag! Hurry! 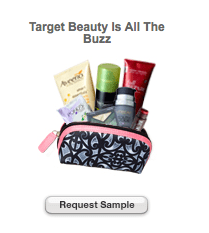 HURRY over to the Target sample site and request a FREE Beauty Bag! This offer was available a few months back and the beauty bag was loaded with sweet samples and Krazy coupons! Also while you are there you can request a FREE Poise Hourglass Pad sample. Note: The site is being super slow due to all of the traffic. Hot! 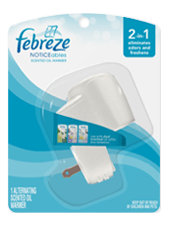 Deal on Febreze Noticeables Warmers at Target! Free after $5 gift card! Hot! Deal on Febreze Noticeables Warmers at Target! 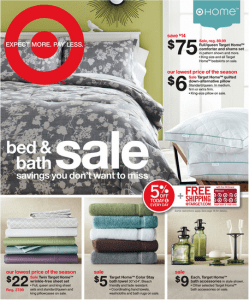 Grab your Proctor & Gamble 8/28 insert and RUN to Target! This deal is HOT! Febreze Noticeables Warmers are included in this week’s Gift Card Deal and we have a great coupon to go with them! Final Price: FREE when you buy 5! 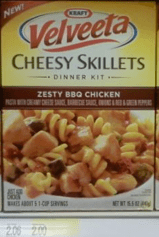 .50 Velveeta Cheesy Skillets @ Target.